The hunger with which US officials pursue copyright or general intellectual property violations is insatiably manic. The degree of that hunger is expressed by the now suspended, and most likely defunct Trans-Pacific Partnership, an attempt to further globalise the policing of IP laws in favour of corporate and copyright control. Then come the vigilantes and those singing different, discordant tunes suggesting another alternative. One such figure was Kim Dotcom, founder of Megaupload and on the US Department of Justice wanted list for some years, along with company co-founders Mathias Ortmann, Bram van der Kolk and Finn Batato. His case is doing the torturous rounds in New Zealand, where the German-born defendant remains based, still seeing whether he can elude US authorities on the subject of inventive alleged violations. It has become one of the largest criminal copyright cases in history, beginning after Dotcom’s dramatic arrest in 2012 at his New Zealand mansion at the hands of dozens of agents, both NZ and US, along with two helicopters. 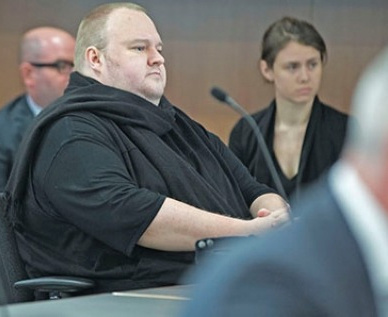 Dotcom and his legal team would have felt rather thrilled with that. The prosecution plank had collapsed. Case closed. Except, of course, that it hadn’t. Justice Gilbert proceeded to assume a mighty pulpit and preach despite the absence of a NZ copyright offence in this case. Much of this lay in the prosecutorial effort to expand the range of offences, a tactic the Dotcom team termed “massaging”. In widening the net, acts amounting to internet piracy were suggested, including racketeering, money laundering, to name but a few charges additional to the issue of copyright infringement. Many coalesced around the issue of conspiracy, a favourite, catch-all provision US prosecutors have loved to employ. Digital activists have a brat element to them, an impetuousness that follows the crooked over the straight. They are often necessary boons excavating to find deficiencies in existing systems, rather than spotty criminals to be potted. In Dotcom’s case, a cloud storage provider is being prosecuted, an aspect that has grave implications in the broader internet domain. For one, it suggests a self-policing dimension to the operations of such an enterprise. Dotcom’s claims there, rather reasonably, are that policing the behaviour of 50 million daily users of a site is hardly credible, though efforts were made to detect copyright infringements. For all that, the US DOJ would still claim that there was a mere “veneer of legality” to such operations. But the legal assessment of Dotcom’s case suggests that prosecuting authorities will be favoured, and that powerful corporate demands expressed through state intermediaries and lobbies, will continue to have their day. Any effort to battle this case out in a US setting is most likely, as Rothken asserts, going to take place on an “unfair playing ground”. Next stop: the NZ Court of Appeal.